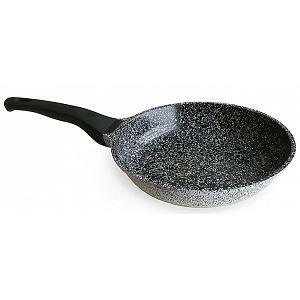 This round frying pan from De Buyer is 100% natural and 99% iron with an organic bee wax finish. De Buyer discovered that bee wax is an excellent option to protect their pans against oxidation. Bee wax also helps in the seasoning process and improves the non-stock quality. 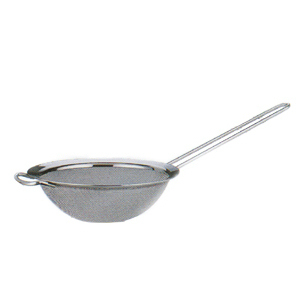 The mineral B element frying pan is PTFE and PFOA free and with no chemicals added. You will be impressed with the quality of this pan as it allows for high heat cooking, making it perfect for sealing, browning, and grilling. Another bonus of this amazing frying pan is the fact that the more the pan is used, the better the natural non-stick properties become (material becomes darker). 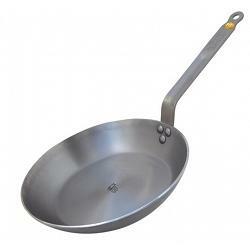 The round frying pan is ideal for all hotplates (including induction), has a diameter of 20cm / 8", and is proudly made in France.